Thanks for visiting Wright’s Home Improvements, Aiken’s premiere home improvement company, located in Aiken, SC, to serve the greater CSRA. From room additions to custom fencing, decks, gutters and more, we deliver the quality service our clients desire. Take a moment to browse our portfolio of work and the excellent craftsmanship. 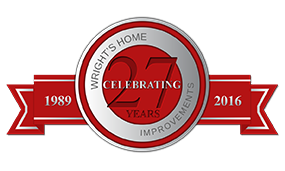 Our goal at Wright's Home Improvements is to consistently achieve the highest degree of customer satisfaction. Using quality products and superior craftsmanship, we deliver the best possible product from start to finish. The integrity and excellence we strive for is second to none. We hope to help every customer achieve their home improvement goals by providing the best solutions at the fairest price.